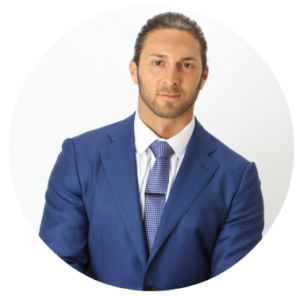 As an experienced aesthetic injector, James Christian Sardelli, RPA-C often receives questions about whether someone should choose dermal fillers over a facelift to achieve the desired look. “The answer is not always easy because it depends on what the person wants to achieve,” he says. Dermal fillers have increased in popularity over the last few years. Mostly because of their ability to rejuvenate the face without surgery. While many people are quite happy with the results of dermal fillers, there are instances in which recipients seek more than what fillers can deliver. Older individuals are often the ones who find limitations with dermal fillers in results and efficacy. For sagging facial muscles and loose skin, a facelift is the most effective course of action. This procedure can tighten underlying facial muscles and get rid of extra skin. The results can make someone look 10+ years younger! How do you know if dermal fillers or a facelift will give you what you want? Let’s look at some comparisons between the two. Dermal fillers are best for people with mild to moderate signs of aging. A facelift is for those who have moderate to severe loose skin and laxity in their facial muscles. Dermal fillers are non-invasive, while a facelift is a surgical procedure. Since a facelift is major surgery, pain is a reality and recovery time is needed. Dermal filler recipients do not have to worry about recovery. Facelift patients need to recover for about two to three weeks. Ice and keeping the head elevated are also a necessity with surgery. The effects of dermal fillers last anywhere from 4 months to more than 2 years. Facelift results typically last from 7 to 10 years. Most dermal fillers are temporary, so recipients must have the procedure repeated. A facelift is permanent. Several types of dermal fillers are available to fight the signs of aging. Fillers such as Juvéderm® and Volbella® XC use hyaluronic acid (HA) to add volume to the face to smooth away fine lines and minor wrinkles. They can also be used to plump the lips. Voluma® is usually used to add volume to the cheeks. Restylane® is used to fill temples that have hollowed. If you’re considering dermal fillers for a younger look, contact James Christian Sardelli, RPA-C at 1-844-iBOTOX-Now. You can also call/text our cosmetic concierge line any time at (917) 860-3113. James Christian Cosmetics serves the Nassau and Suffolk County areas of Long Island and beyond including Islip, West Sayville, Westhampton Beach, Commack, Manhattan, Rockville Centre, Farmingdale, and Babylon Village, NY. *Juvéderm®, VOLBELLA® XC, and VOLUMA®, are registered trademarks of Allergan, Inc. Restylane® is a registered trademark of Galderma Laboratories, L.P.